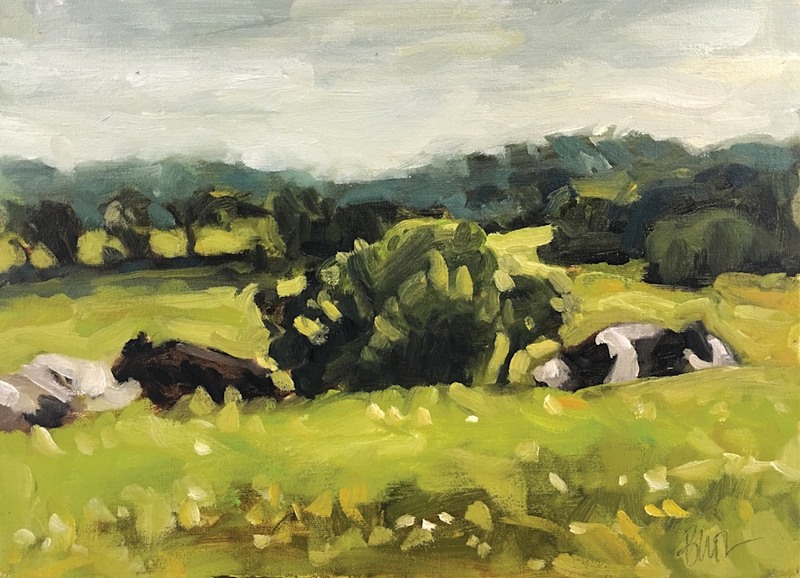 Landscape painting, painted on location in Hellenville WI. I painted this in the Jefferson Plein Air Event. The original size is 9x12 and painted in oils. Landscape painting, painted on location in Hellenville WI. I painted this in the Jefferson Plein Air Event. The original size is 9x12 and painted in oils. When I set oput to paint these cows they are great subjests to paint. But right when you are ready to paint them, they often get up and move. These cows were pefectly resting in place for a while. This one I really liked the composition and how the cows contrasted the green grass, I also like in WI how the fields go on and on. Te location is just down from my friends Peter and Ann's Farm. Lanscape painting, painted on location in Hellenville WI. I painted this in the Jefferson Plein Air Event. The original size is 9x12 and painted in oils. Lanscape painting, painted on location in Hellenville WI. I painted this in the Jefferson Plein Air Event. The original size is 9x12 and painted in oils. When I set oput to paint these cows they are great subjests to paint. But right when you are ready to paint them, they often get up and move. These cows were pefectly resting in place for a while. 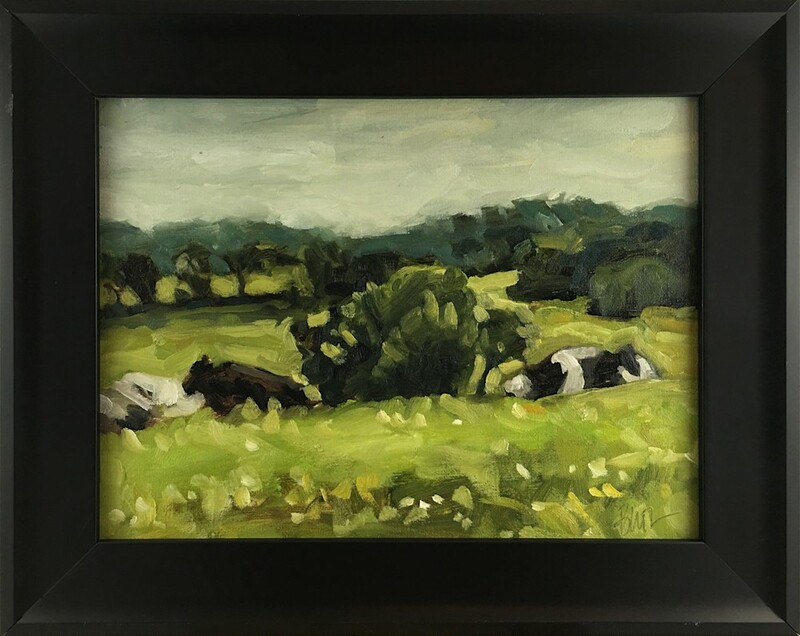 This one I really liked the composition and how the cows contrasted the green grass, I also like in WI how the fields go on and on. Te location is just down from my friends Peter and Ann's Farm.